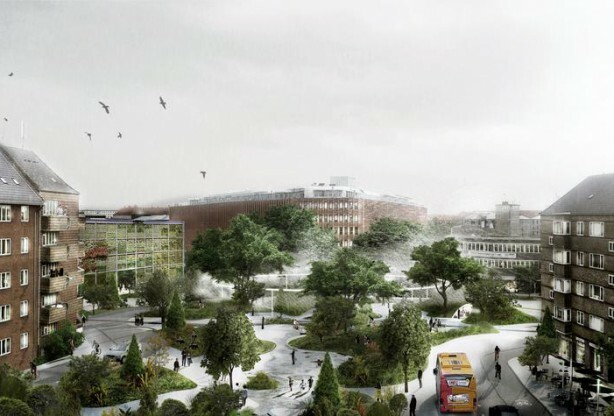 Tredje Natur thinks Copenhagen’s Harbor should be a lively, accessible, productive and recreational area in the city.With this idea in mind, we have created a vision for the harbor, adding to the historical development of the harbor, while at the same time showing the its contemporary recreational potentials. Water surfaces – The most important part of the harbor is the water. 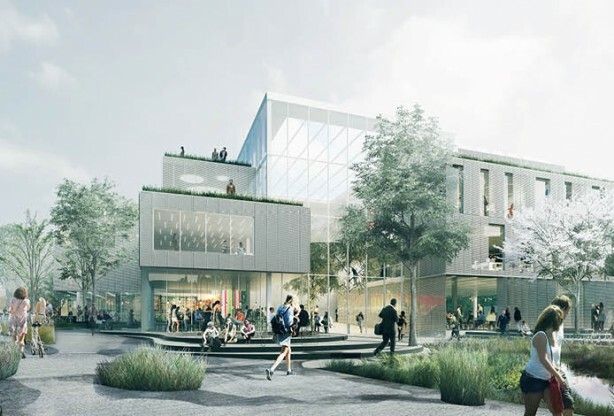 The central idea of this plan is therefore to create outlets where people can interact with the water in secure spaces for different activities and experimental projects, such as taking walk on the bottom of the harbor in a network of glass hallways or underwater biology classes in a glass room. Edges – Another concept that will improve the recreational uses of the harbor is treatment of the edges between water and land. The distance from the edge of the quay to the water surface should be minimized by making more direct connections. This will be implemented via new islets and islands in the harbor, turning edges into stairs, establishing stone piers, floating bridges and walkways on the surface. 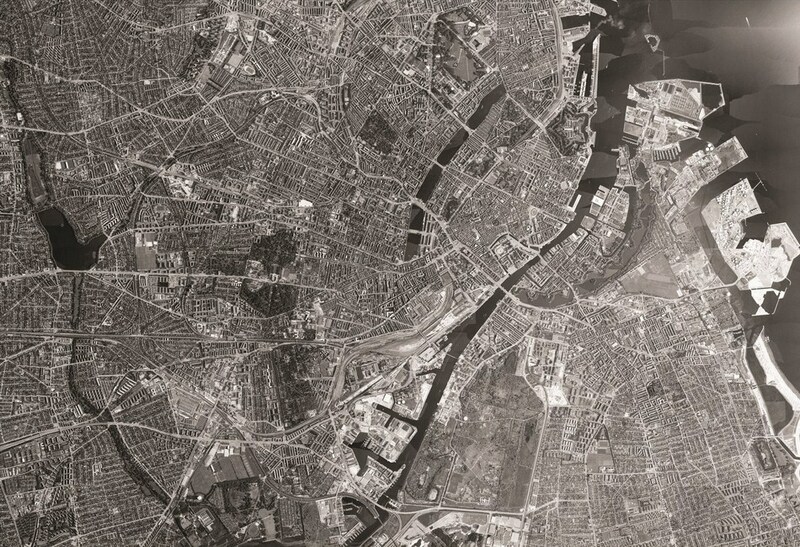 Connections – The third and last concept is about making justified connections along and across the harbor. The harbor’s flow course is broken several places and users are forced to move back and forth in the same direction, rather than going forward in a circuit. By strengthening the connections in the harbor there will be better connectivity, more experiences, and circular movement around and in the harbor. 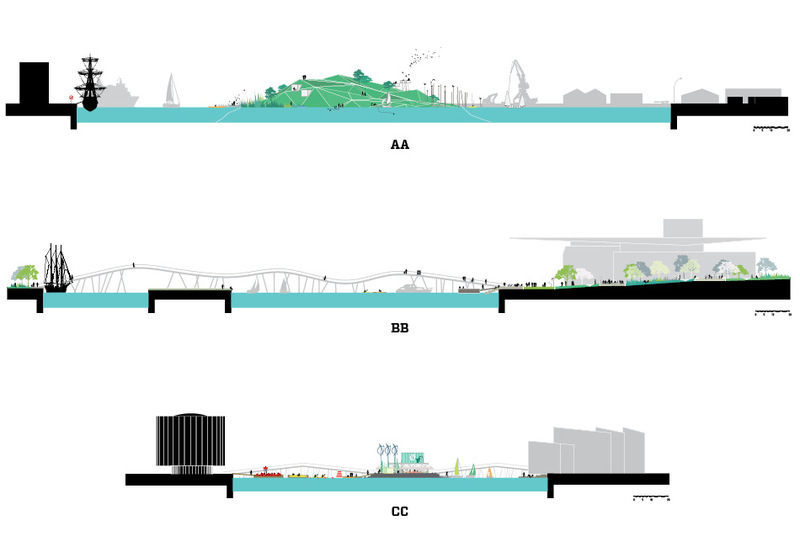 ‘ Bright blue visions’, also offers five intervention areas that will support the recreational value of the harbor. 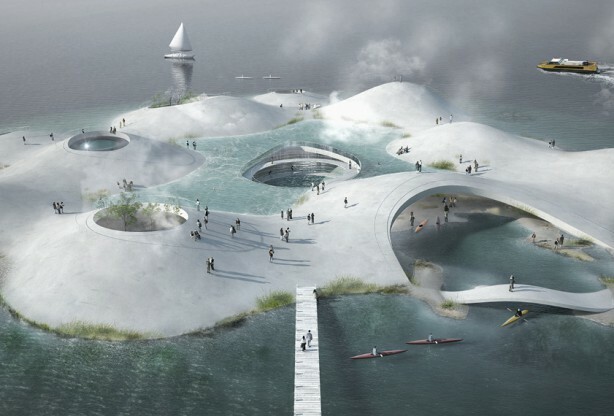 These five areas are the ‘House of Water’, ‘Bird Island’, ‘Sports Island’, ‘Krøyers Pool’, and the ‘Opera Park’. 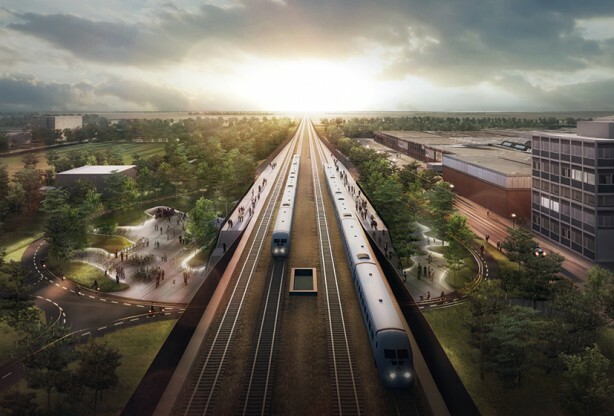 These proposals make room for dreaming big and asking- What if….?! 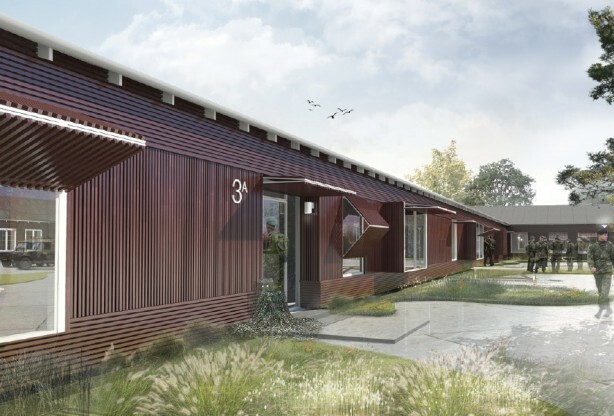 Architecture is too often forced from its big dreams for the sake of pragmatism. 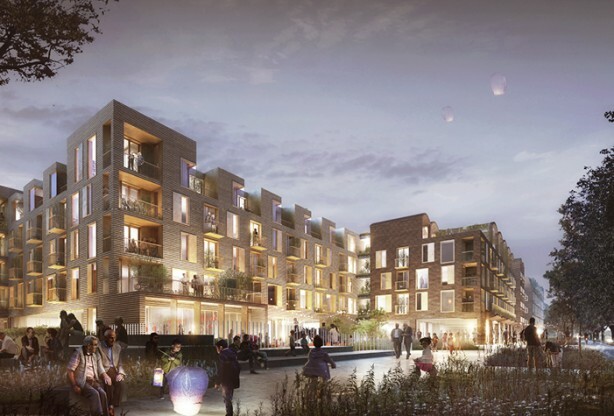 Working with ‘ Bright blue visions’ has used the energy and driving force inherent in these visions and created a visionary and unique urban space. This exercise is used as a can opener for preserved ideas and dreams many people have about the harbor and its urban spaces. 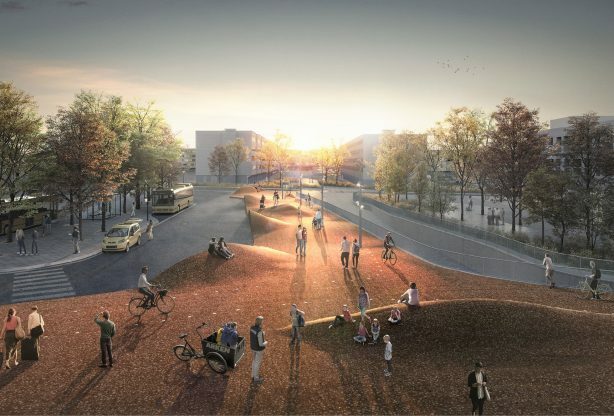 The result is an energetic, sensory, playful, hybrid blue urban space that will not be contained by the traditional understanding of a harbor, its role in the city and visual expression. Urban space which also includes the historical parts of the harbor along side new uses and activities. ‘The wish for a better reputation will not create a better country, but creating a better country, you automatically get a better reputation’ – From the world’s most prominent expert on national branding strategies. 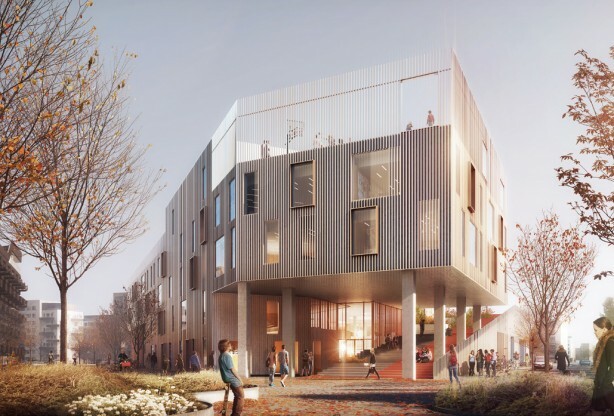 Another way to say this is, a strong brand is created with meaningful goals, action, and including residents in the plan. This is the ambition of the Re-think Water project. 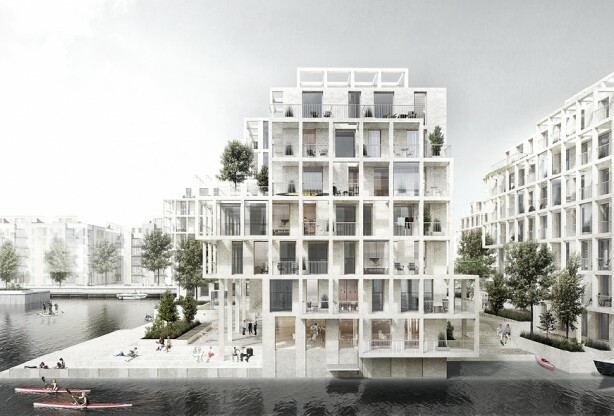 Consider if the danish water businesses worked together to create ‘The House of Water’ in Copenhagen’s harbor. A place where the visitors could experience and learn about global water problems and solutions. Knowledge, water, and nature would unite into a new contextual architecture, that give more to the city and the harbor than they take away. 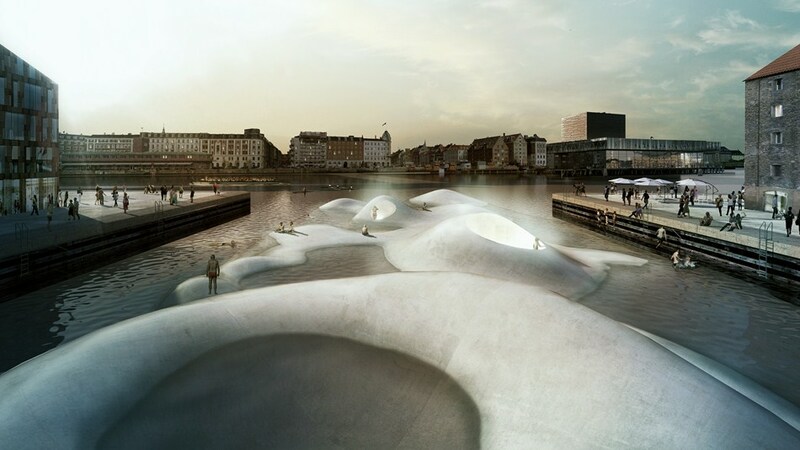 A unique architectural form, made from concrete which creates both space and landscape, where one can interact with water. 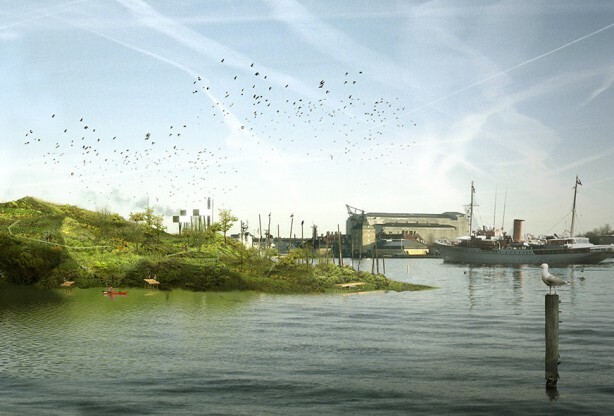 Imagine if we put a island for birds in the middle of the harbor. A green island surrounded by stone reefs, which reference the landscape around the first settlements in Copenhagen. An island where biodiversity and nature’s irregularity is the main concept. 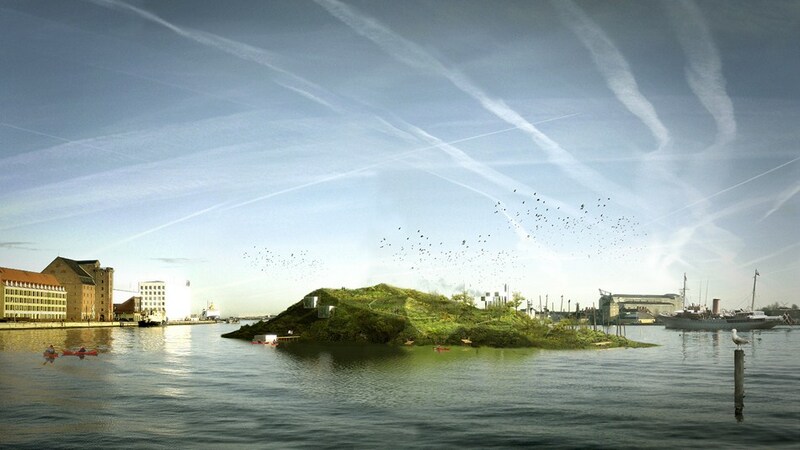 The ‘Bird Island’ is the dream of creating an irregular island in the middle of the harbor, that can tell of the historic landscape, and is an attractive habitat for bird life. It can be used as an experimental site where the development of an ecosystem can be observed. 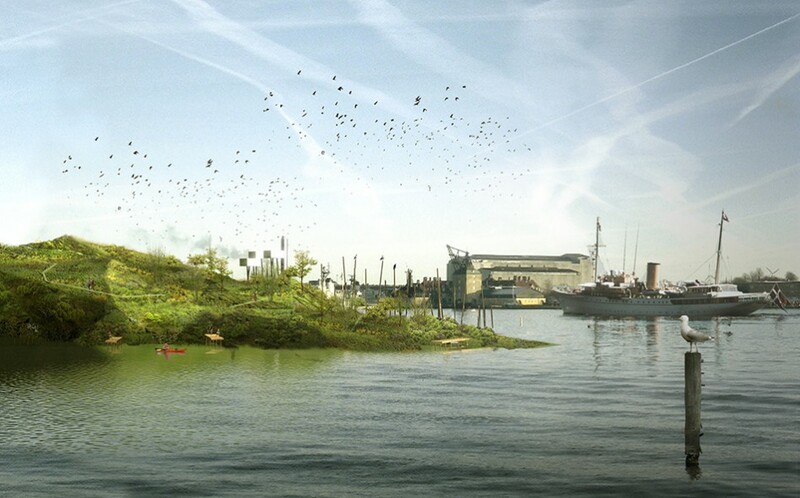 The island would be the perfect destination for bird lovers, fisherman, mussel collectors, biologists, school children, or Copenhageners that just want to enjoy the afternoon sun and the atypical landscape in the middle of the harbor. 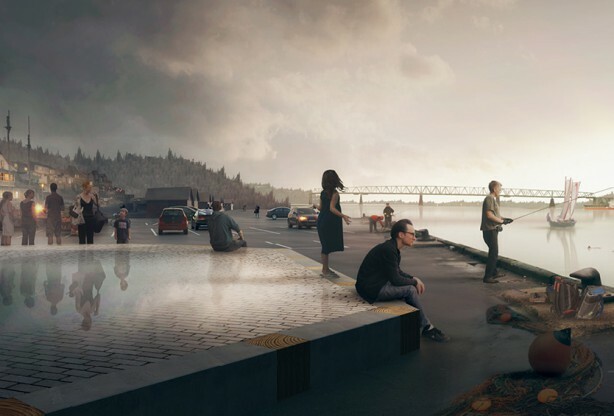 Imagine if the harbor invited people to enjoy the view right from the water’s edge, in the water, and underwater. 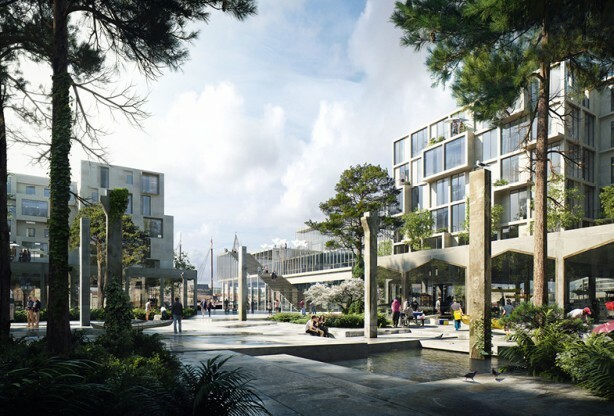 Krøyer’s Pool is the dream of a performative urban space, that combines the next generation of harbor bath with productive value. 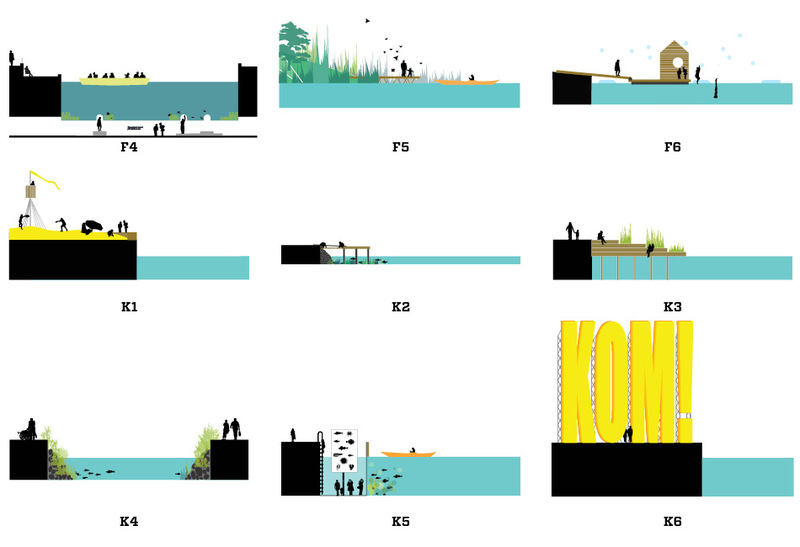 A part of the blue plan is to make the area around Krøyers Pool an attractive place for the many plant and animal species in the harbor. 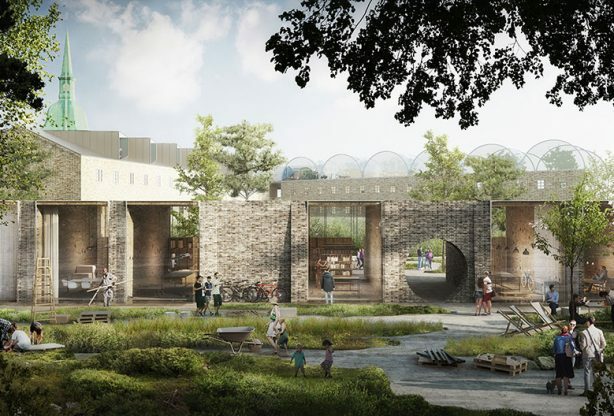 The combination of direct access to the water’s surface, Krøyers Pool can be an attractive place for fishing , harvesting water plants and steam. 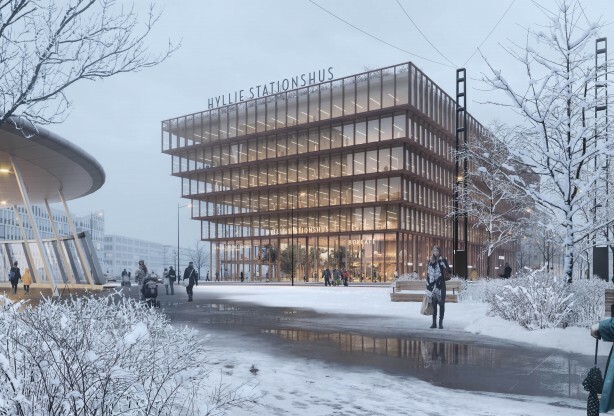 The placement, in front of the world renowned restaurant Noma, will present the harbor as a clean, attractive resource for the many national and international guests. 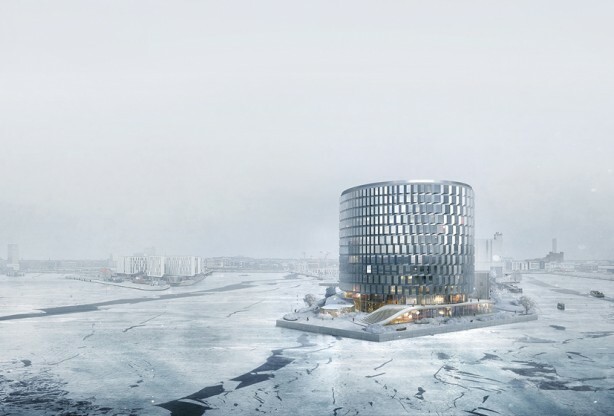 A harbor which supports the nordic gastronomic ambitions about a smaller distance from ground to plate- or from harbor to noma. 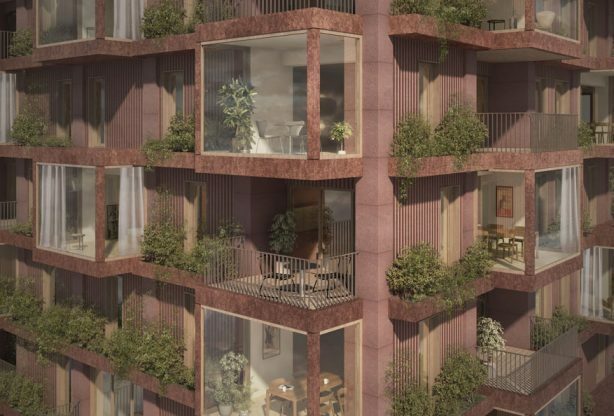 Krøyers Pool will make create a exhibition window for nordic food and sustainable development in Copenhagen. Imagine if there was a sports island in the middle of the harbor? An island where the water’s surface is filled with activities, inviting the city’s residents out into the water and create new sports experiences close to nature. 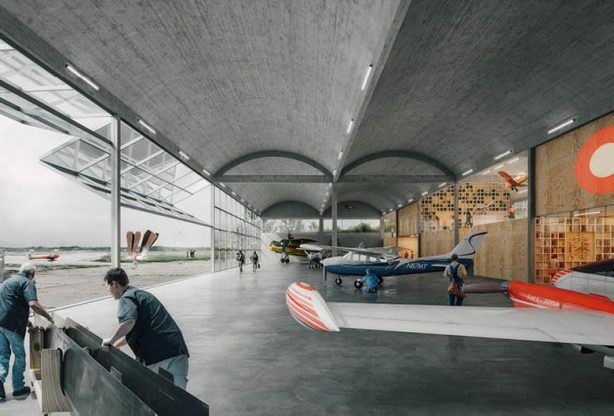 The sports island is a dream about the expansion of the harbor’s history in a contemporary, activity based context, that connects the experience of nature and sport together. 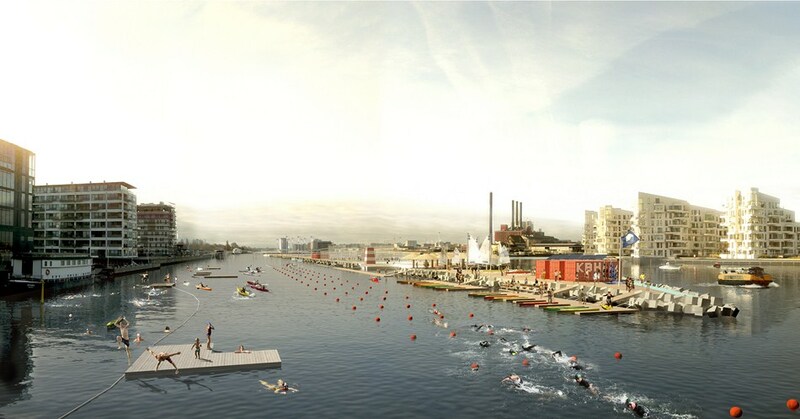 By creating a new island in the harbor there will be facilities for different water sports. 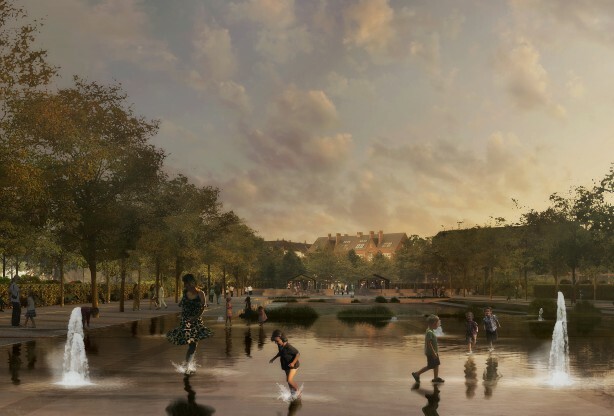 The sports island will attract urban life to the harbor and make it an attractive place for divers, swimmers, kayakers, winter bathers, and other forms of water sports. The ‘soft users’ need a safe place where they do not have to worry about a boat speeding by. 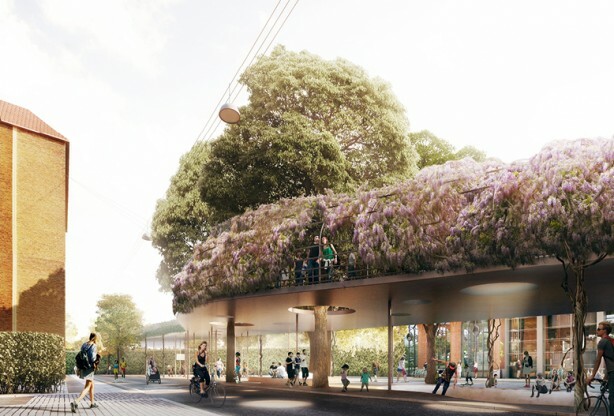 Imagine if the operas wealth of sound could be heard from the Opera Park which connects to its surrounding. A sound park which offers an auditory experience at the edge of the harbor. The Opera Park is the dream of a temporary, recreational use of the large grass area next to the opera house. 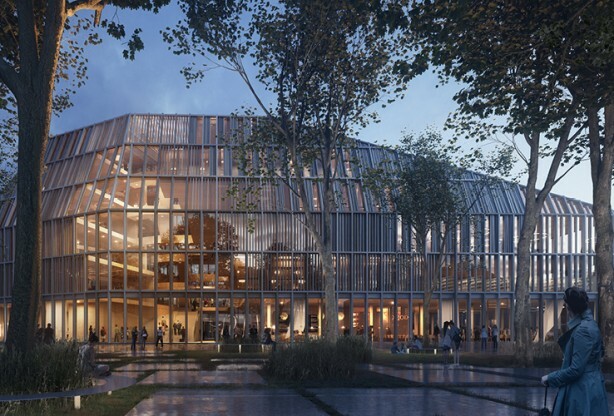 A dream of normalizing fine culture, by turning the opera house inside out and give the park’s visitors the opportunity to listen to the magical, transformative world of opera. 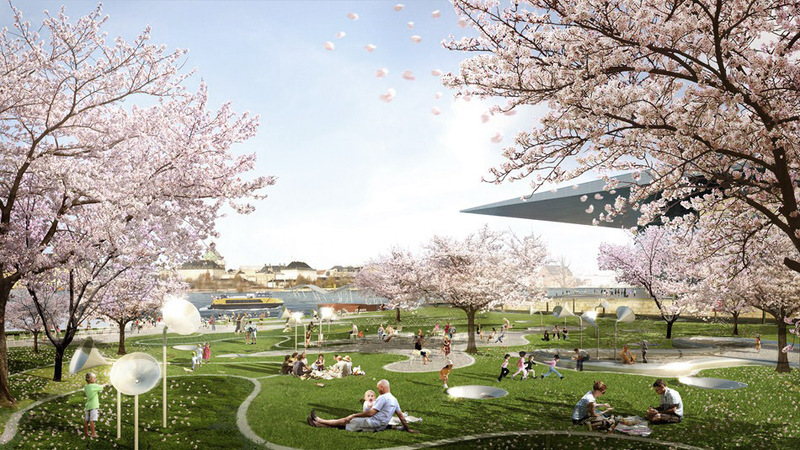 The opera park, by use of music, cherry trees, magnolias, and the salty air, create an extraordinary holistic sensory experience. 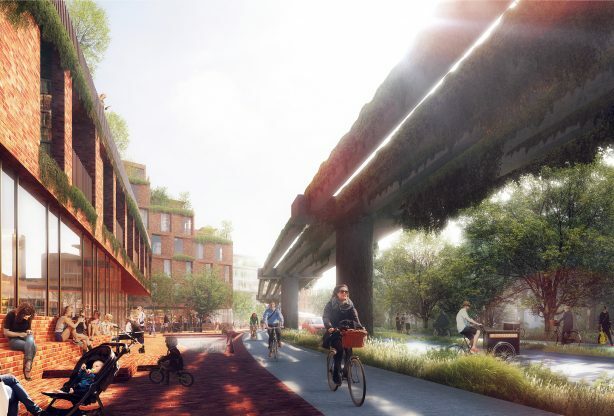 In the coming years,four new bridges will allow for better connection across the harbor. 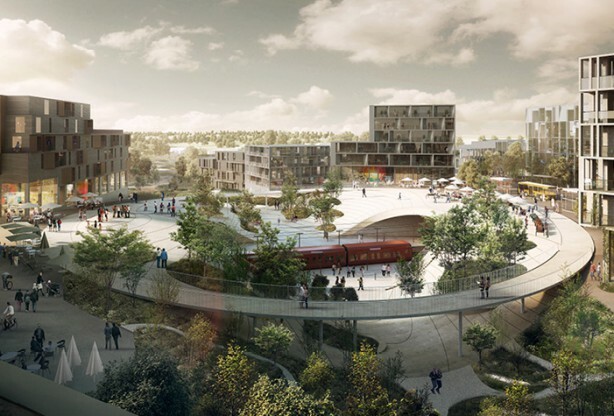 The opera park will act as an extension of the ‘inner harbor bridge’, and make holmen a public destination, that can attract life to the area and support the attempts to better connect the city. knowledge about water technologies. Denmark is in the front when it concerns water knowledge. 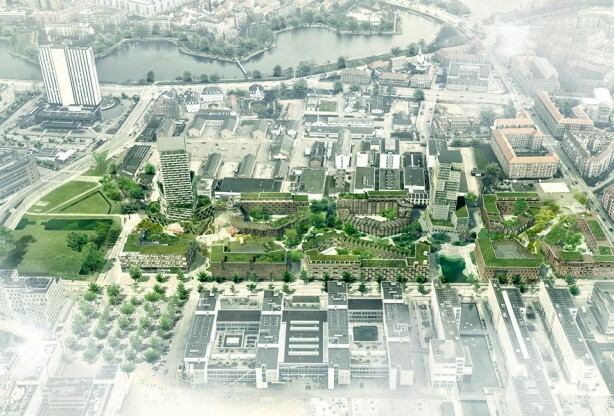 The blue vision therefore presents Copenhagen’s water technologies successes and the know-how of this area. The harbor pool is now clean enough so that tourists and locals can swim and fish in it. A privilege only a few big harbors around the world share. 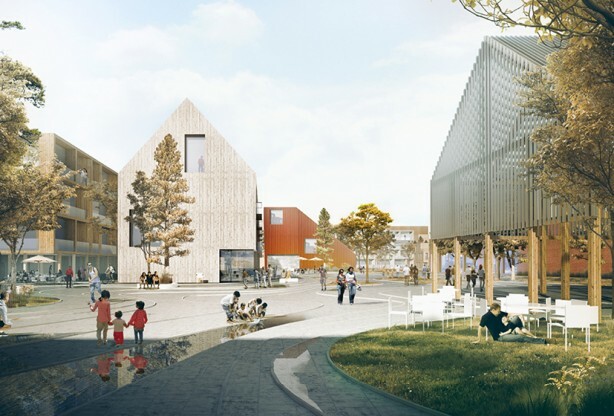 By creating an accessible, recreative and a by-trial basis blue urban space, Copenhagen harbor can be in the exhibition window for danish water technology. The climate is changing. 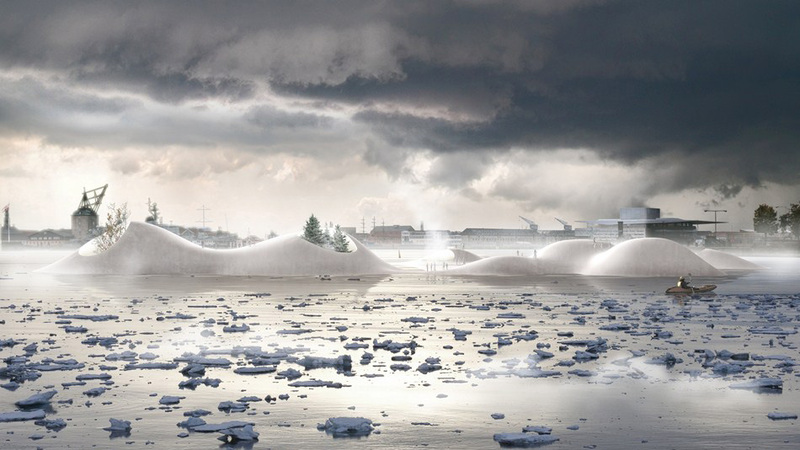 We can look forward to short, powerful cloudburst, such as the ones Copenhagen has experienced in the past few years. At the same time, the sea level is rising, especially in urbanized areas. The harbor is therefore under pressure from land and sea because stormwater runs into the harbor, while the sea rises. 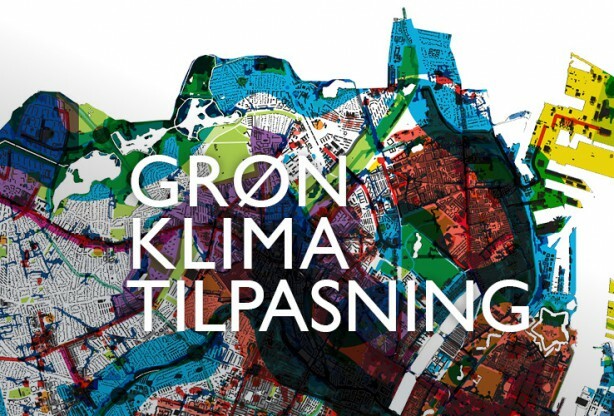 Climate adaptation in Copenhagen of unseen proportions and a new generation of architects are asking how money can be allocation to a more green and sensory urban experiences. 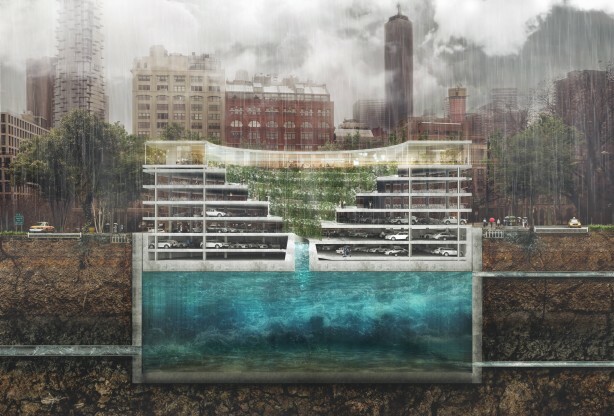 In connection to new water and climate adaptation technologies, architects also work to secure better connectivity and an experientially rich city. 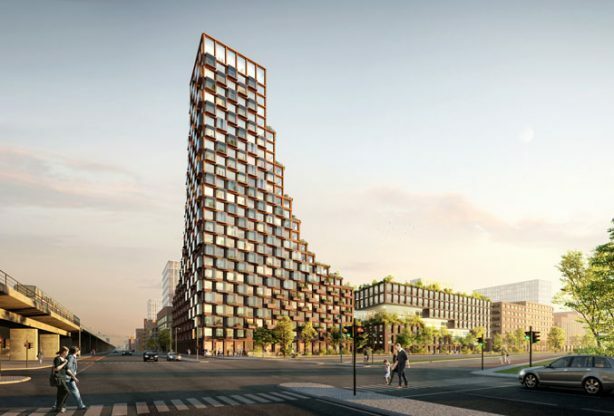 The direct interaction with technology creates recreational opportunities as a brand for Copenhagen and Denmark. 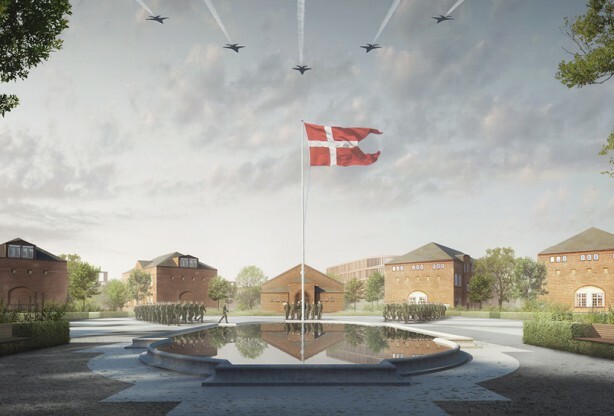 At the same time the these spaces can be used as a reminder to danes about our use of the world’s precious resources-not as a reprimand, but to make it clear that Denmark can make a difference, here and now. the easy access to sea transportation routes, along with its placement between Roskilde and Skåne. Copenhagen was the major hub for trade in this area. 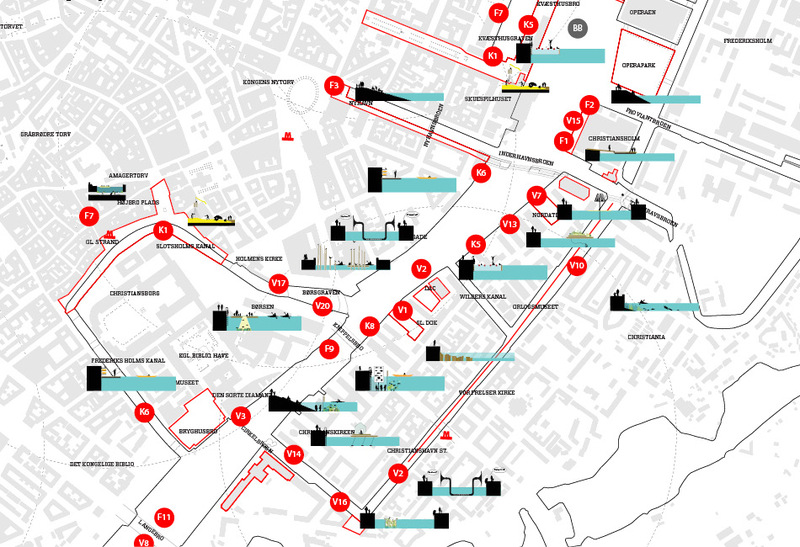 While Copenhagen is growing as a center of power, the harbor is narrowed. From 1550 and there forth, they built several man-made islands and islets, such as ‘Slotsholm’, ‘Bremerholmen’, ‘Nyholm’ ,’ Frederiksholm’, ‘Arsenal Island’, and ‘Dock Island’ created for naval purposes. In 1617 Christian IV gained permission to create a new city in the harbor, ‘Christianshavn’. 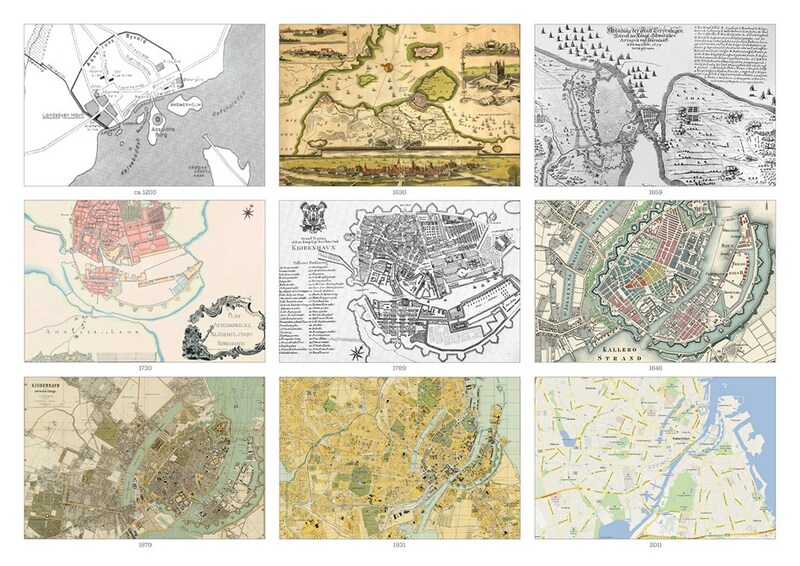 Other examples of the man-made islands and islets include ‘Trekroner’, ‘Kastellet’, ‘Teglholmen’, and ‘Sluseholmen’. and tool to create connections within local communities. 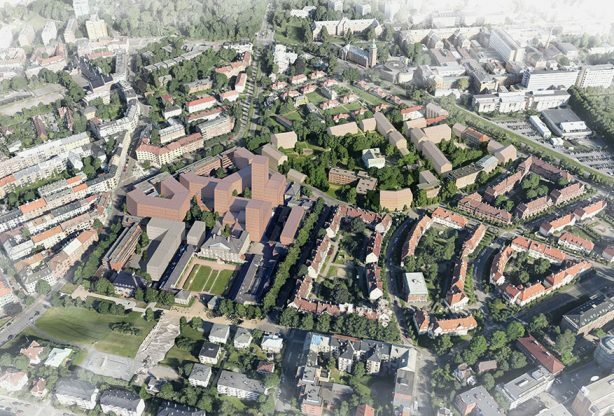 Some examples of present day commons include food cooperatives, child care, courtyards, wireless networks, sports arenas, and green energy sources. 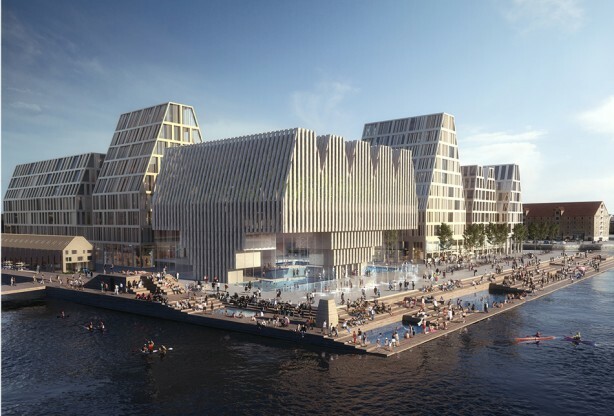 With ‘ Bright blue visions’ , Tredje Natur and PK3 wants to make Copenhagen’s harbor a contemporary blue commons by creating several uses and thereby creating the foundation for different types of communities. This could be, for example, opportunities for fishing, sport, water activities, bird conservation areas, beekeeping, education, in the harbor. By creating community in the harbor a blue vision can instigate local sprite and co creation in the city.